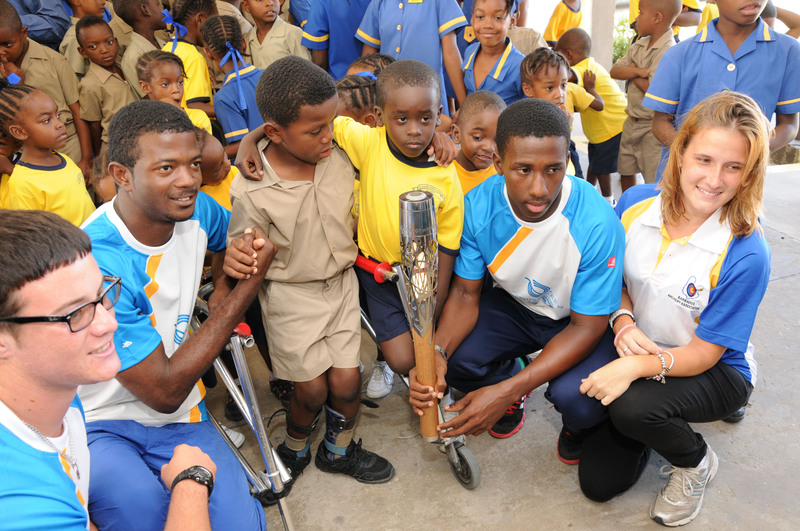 The Commonwealth Baton visits Barbados: Recap of Day 2 – Barbados Olympic Association Inc. 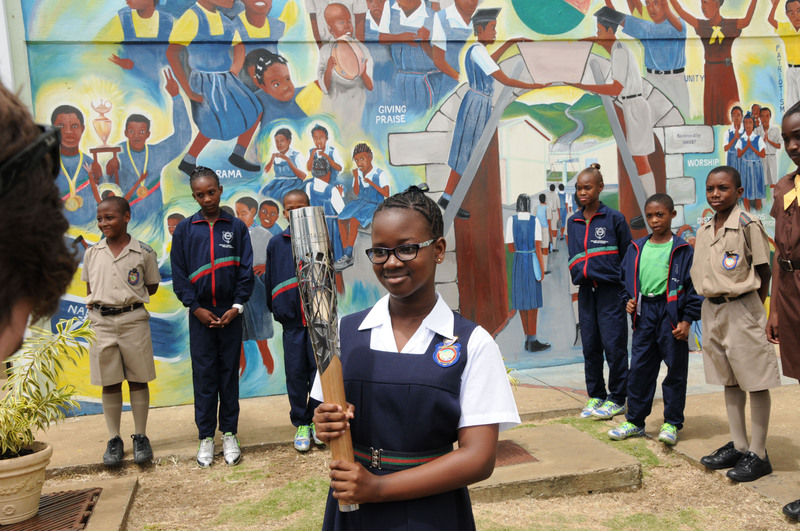 Following a successful handover and an exciting relay on Thursday, March 6, the Commonwealth Baton spent its second full day in Barbados on Friday touring the island and visiting various landmarks and schools. 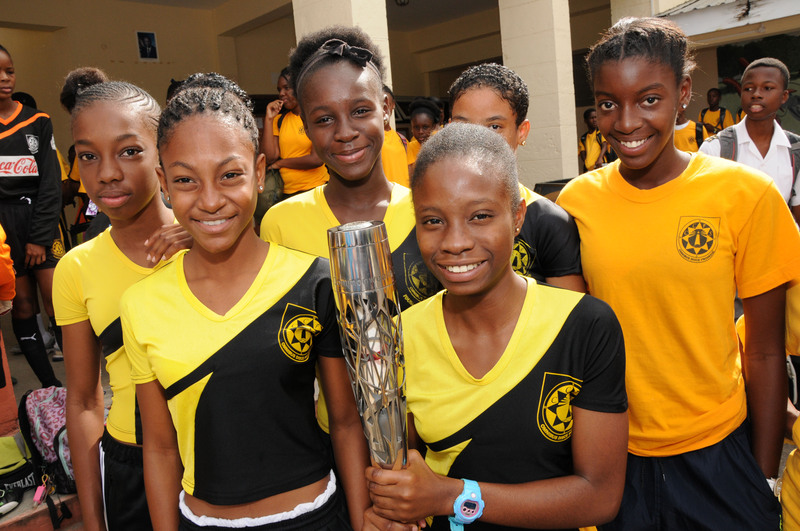 Accompanied by the official Guardians of the Baton, representatives from the Barbados Olympic Association Inc. (BOA), UNICEF, several of the National Federations, local athletes, and officers from the Ministry of Education, the baton travelled the length and breadth of Barbados, from the historic Parliament Buildings in Bridgetown, to the depths of Harrison’s Cave in St. Thomas. The tour group assembled at the BOA headquarters on the morning of Friday, March 7. 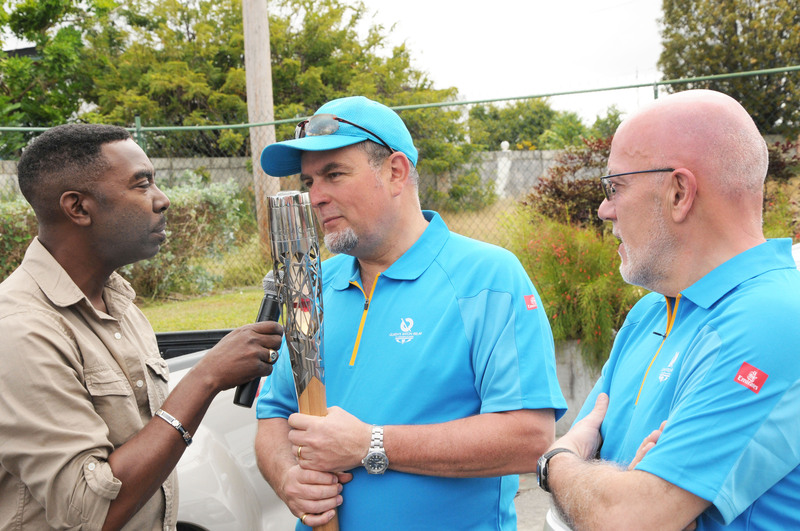 Prior to departure, the Guardians of the Baton conducted a live interview with popular radio programme, ‘VOB Road Runner’; chatting with host KB Kleen about the significance of the Baton and its unique features. 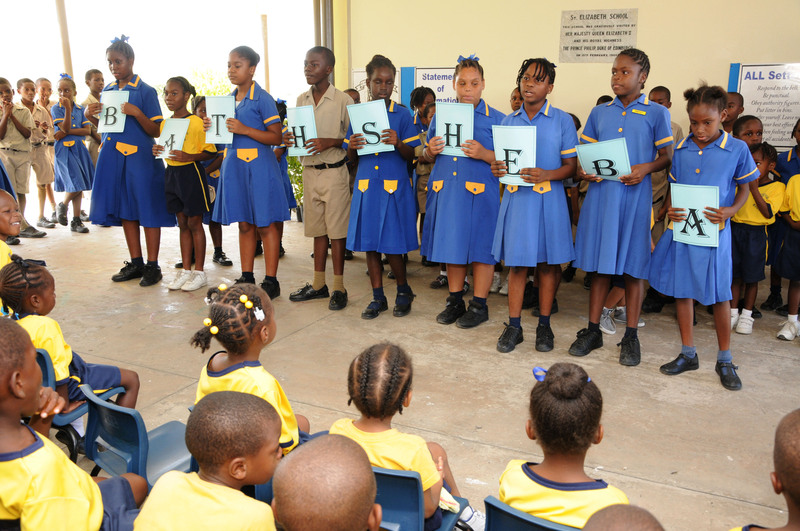 Listeners were then encouraged to follow the Baton’s progress via radio as the group made its first stop at the Christ Church Foundation School, former school of Tia Adana Belle, the first Barbadian female to win a world championship medal at any level. The Baton was presented to the school principal who then handed it to players on the school’s football team. The next stop on the route was Oistins Fishing Village. 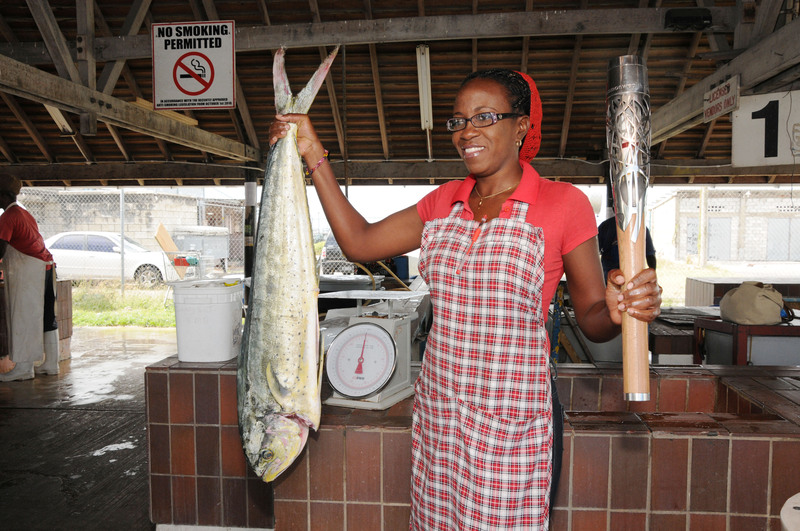 The group was welcomed by local fish vendor, Natasha Clarke, who posed for pictures holding the baton alongside the fresh catch of the day, a large dolphin (Mahi Mahi). Travelling along the South Coast, pictures were then taken on the South Coast boardwalk and at the Garrison Savannah, a UNESCO World Heritage site, before stopping in town outside of the Parliament Buildings. 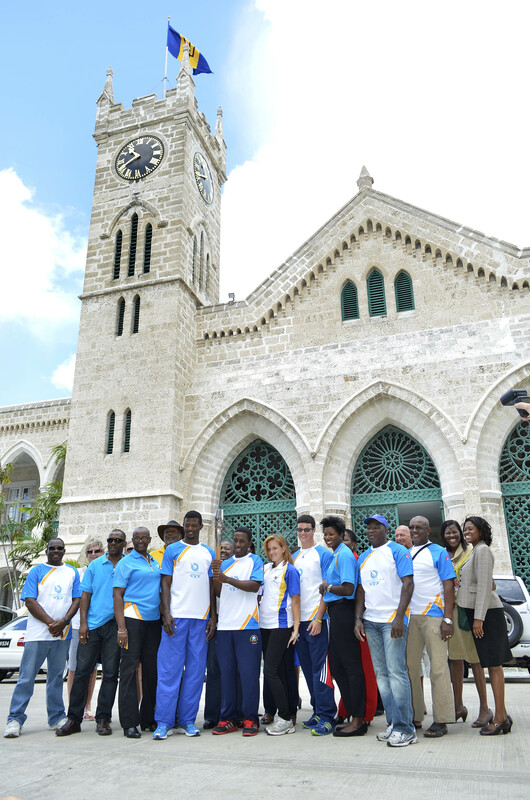 Several tourists gathered around the group to hold the baton and have their picture taken alongside the baton and the local athletes in the group including rising stars, Kyle Maxwell (judo); Christian Payne (weightlifting); Brien Best (weightlifting) and Charlene Goddard (archery). From the shores of the coast to the caves of the interior, the Baton was taken inside the popular Harrison’s Cave. As luck would have it, a primary school was also touring the caves as well as several families visiting the island from Canada and as far away as France. The Baton was passed from hand to hand with many images taken and shared online. Emerging from the caves, Hillaby Turner’s Hall Primary school was up next. The entire school came out to welcome the Baton as it was accepted by the Head Girl, Jade Stevenson. The group was treated to performances by the Snowdrops and the Brownies and the Baton was carefully passed amongst all the classes from infants to teenagers. Judo star, Kyle Maxwell, proudly carried the Baton through the school corridors as everyone clamoured for a chance to hold it. Last on the itinerary was St. Elizabeth Primary and what a welcome the Baton was given! The students sang several songs and a special message was read by the Principal. 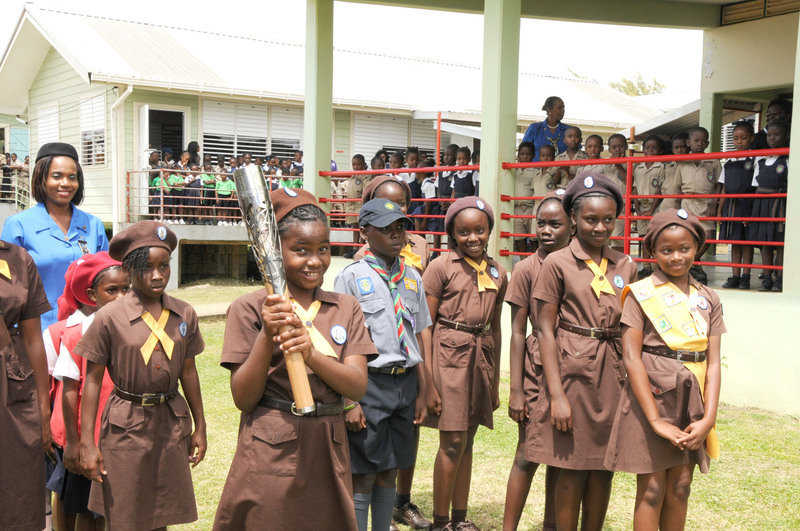 The Guardians of the Baton then described the Baton, its importance to the Commonwealth and the route of the Queen’s Baton Relay. These heartwarming moments were captured on camera and many of these images have already been shared across the world. 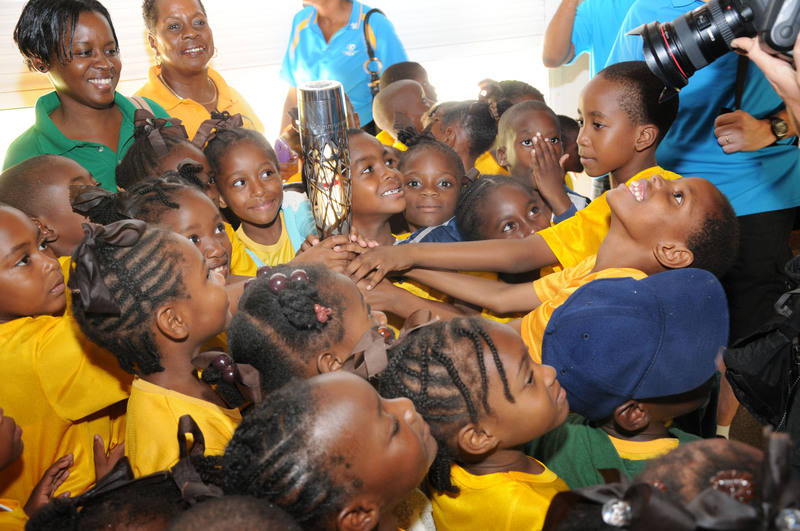 The Baton has since left Barbados on March 8 to continue its journey but the memories will live on. Barbados is also looking forward to supporting the athletes that will be representing the island at the 2014 Commonwealth Games in Glasgow.